However, the biggest inconvenience I have come across in the past few days – especially after upgrading to 5.1 – is the inability to connect to the Camera after a while. 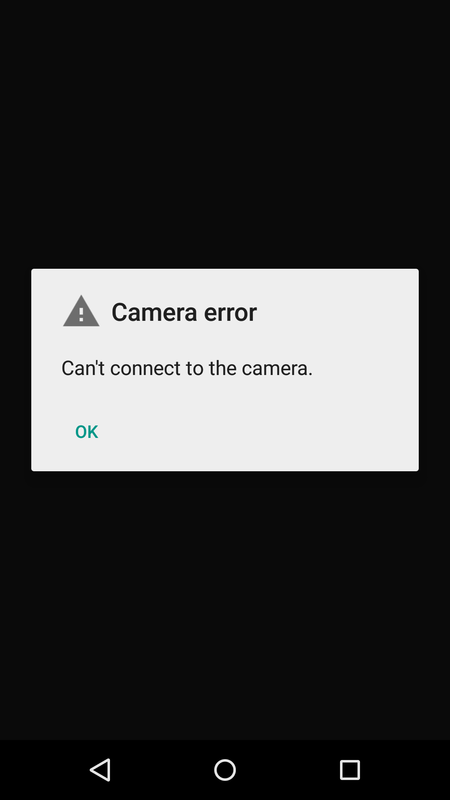 When that happens, the stock camera app throws the following error message. Other camera apps cannot connect to the camera as well. The easiest way to fix is to reboot the Nexus 5. Unfortunately, this is just a temporary fix. You will get the same error after a few hours. For example, I couldn’t connect to the camera app to take a quick snap of the screen of the ticketing machine at the station, even though I had rebooted the Nexus 5 soon after arriving at work in the morning. The error had already developed within 9 hours. I was really angry about it because one of the reasons why there is a camera in a phone is so that you can have a camera with you to snap a photo wherever you go. What’s the point of having one if it doesn’t work? If you have to wait for a minute or so to reboot the device first? Insane! Some people say that this is a side effect of the memory leak issue Google still hasn’t been able to fix after 6 months. But if I am getting this error this frequently, I cannot imagine how bad it is for the people who use their Nexus 5 much more intensively. For instance, I do not play games on the phone and I have very few apps running in the background at a given time. If I open an app that I use less frequently, I terminate it after using it. Or could it not be related to the memory leak issue. One of my acquaintances told me that his Nexus 5 became much better after performing a factory reset on it. I do not understand how it would be different to flashing a new version of the OS, as I did, and I was seeing this issue within a couple of days. Factory reset should have the same impact. But you never know without doing it. So instead of performing a factory reset, I decided to do some other, less time consuming things. The first thing I did was cleaning the cache partition by entering the recovery mode. (Here are the steps, if you are interested.) I actually did it while writing this post and it is too soon to see if it had any effect. I will update this post if it permanently fixed the issue, but I doubt it. If this does not fix the issue, I will have to look for other things. Factory reset would be the last resort. Let me know in the comments if you know how to fix it or if you can think of things I can do to fix it.